The Bozeman area is reputed around the globe for its blue-ribbon trout fishing. From the nearby Gallatin River to the famous waters of the Yellowstone and Madison Rivers, a seemingly endless supply of fly-fishing water is within striking distance of the mountain town. Many anglers bring their own fishing gear—kids equipment included—and head out on their own to great success. Those looking for a guided fly-fishing trip can choose from either walk-wade or drift boat fishing trips with local outfitters. The River’s Edge Fly Shop and Montana Troutfitters are favored shops of Bozeman locals. 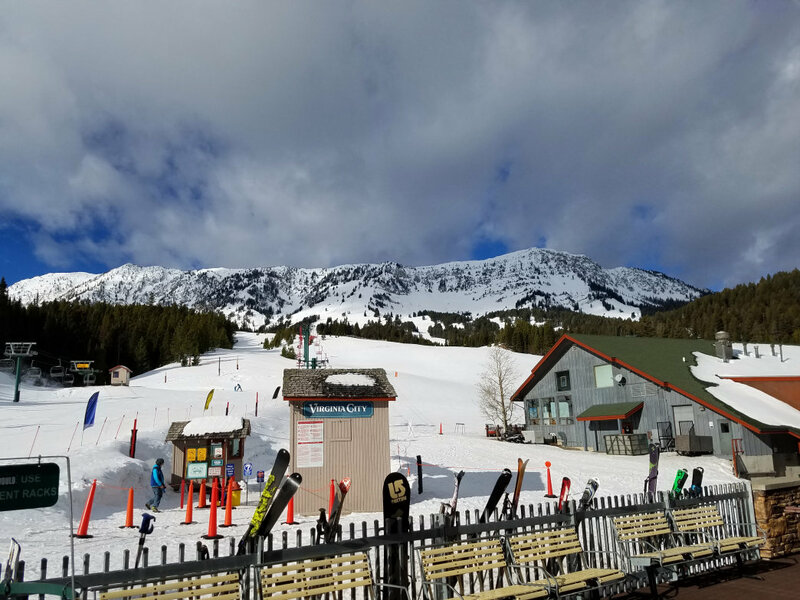 An easy 20-minute drive from downtown Bozeman, Bridger Bowl is the preferred local’s ski area, and it offers runs suitable for skiers of all skill levels. A vertical rise of 2,700 feet and 2,000 skiable acres of terrain, including a terrain park, is coated with an impressive annual 350 inches of snow. Lucky visitors will have the chance to experience Bridger’s famous "cold smoke" powder days. Just down the road from Bridger Bowl is the cross-country ski haven of Bohart Ranch. A family favorite, the complex offers more than 30 kilometers of regularly groomed trails over varying terrain, including both classic and skate-style tracks. Friendly instructors offer lessons tailored to both children and adults, and rental gear is readily available. Relaxed ski excursions through the hills often result in wildlife sightings. Big Sky Resort’s famous Lone Peak Tram ferries skiers to intermediate terrain in the winter, but in summertime it’s a favorite diversion for families. The 360-degree view from the comfortable tram offers views of two national parks, three states, and surrounding mountain ranges, even as far south as Wyoming’s Tetons on a clear day. The tram takes riders to an impressive 11,166 feet summit while a guide points out mountainside features and helps keep an eye out for goats. The Gallatin River may be best known for its fly fishing (famously recorded in the movie *A River Runs Through It) *but it’s also a haven for whitewater enthusiasts. 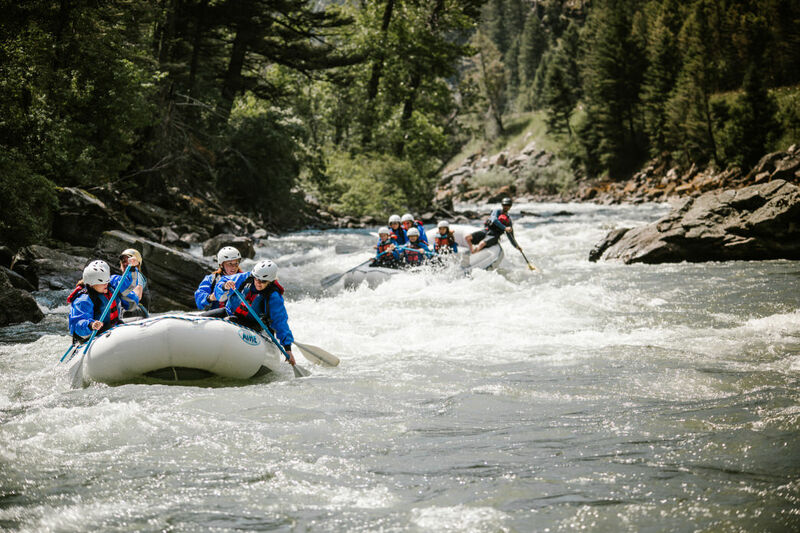 Thanks to rolling, continuous whitewater and stunning scenery, a whitewater rafting trip down the river is a must-do during a visit to the Bozeman area! Friendly local guides lead the way and ensure rafter safety while on the water. 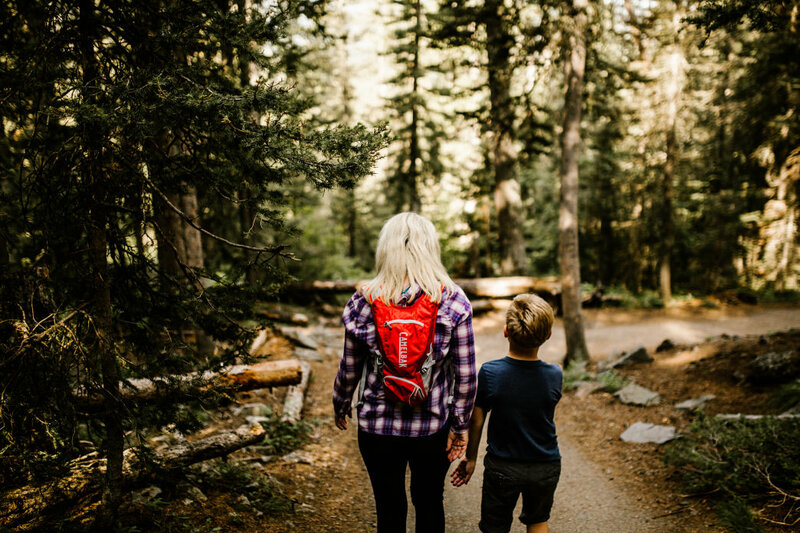 Most local guides will take accompanied children as young as age five. The Bridger Mountains line the eastern side of the Gallatin Valley, forming an impressive barrier visible from anywhere in Bozeman. One of the most prominent peaks, Sacajawea, is a favorite of local hikers, and for good reason — the 4.1-mile out-and-back is rated as a moderate hike and is best suited for teenaged children and older, but the view from the top is well worth the climb of 1935 vertical feet. Mountain goats dot the rocky trail, offering convenient distractions during the climb! Those with smaller children can seek the nearby "M" trail, suitable for all ages. Most outdoor shops in Bozeman offer stand-up paddleboard rentals. Smaller kids enjoy sitting on the board while being propelled by a paddler, and there’s hardly a better way to take in the scenery! Hyalite Reservoir, located 10.5 miles up Hyalite Canyon south of Bozeman, is a favorite location for stand-up paddleboarding. Fishing and picnic areas help break up the day, and the reservoir offers easy access with paved parking areas. It’s hard to imagine a family vacation to the Bozeman area without a slight detour to nearby Yellowstone National Park. An hour-and-a-half drive will transport visitors to the national park’s plethora of activities, including wildlife watching, hiking, boardwalk-strolling, and scenic drives. Children delight in making a list of species sighted and keeping count of how many bison are on the roadway. 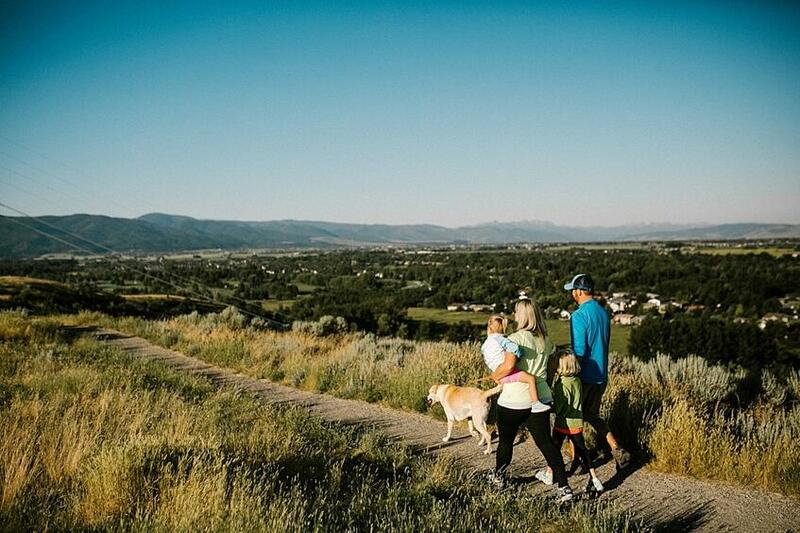 Running more than 1.5 miles through the east side of Bozeman, the Gallagator Trail is well-utilized by locals looking for an evening stroll with their dog or a quick post-work run. The largely-flat, crushed-stone trail is easy for users of all ages and can accommodate a stroller. Climbing rocks are dotted throughout the trail. It connects easily to downtown, offering the perfect opportunity to top off a stroll with a coffee or ice cream. Summertime in Montana means hot weather, and there’s no better way to escape the heat than to get in the water. Local outdoor shops offer float tube rentals and shuttles to the nearby Madison River, where a popular stretch through Bear Trap Canyon sees steady tuber traffic throughout the busy summer months. The river’s slow, meandering course offers a relaxing escape on the steamiest days. 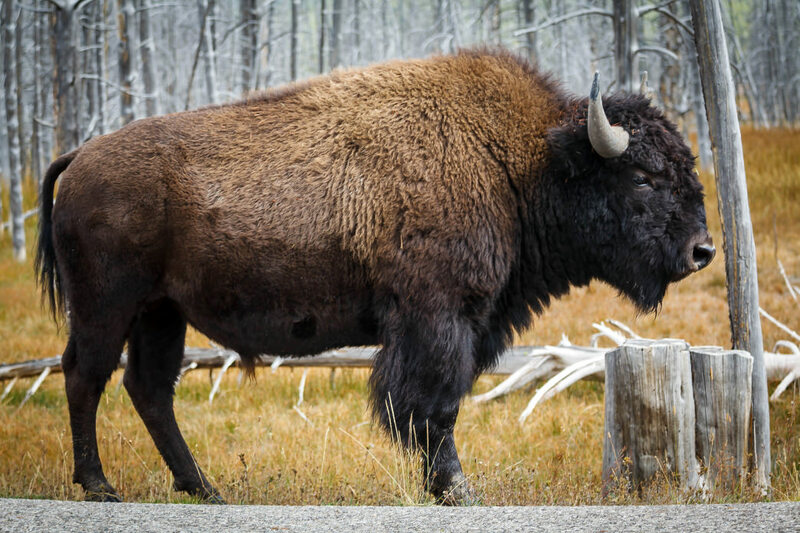 Originally written by RootsRated Media for Bozeman Tourism.